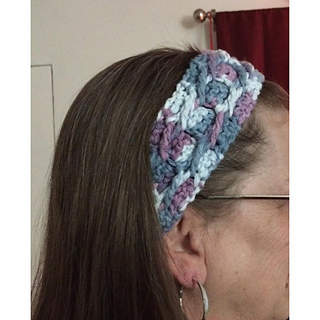 ​Not ONLY can you use ANY yarn / hook and crochet this headband to ANY width / size, but you’ll get to crochet with cables and learn a brand new stitch too! 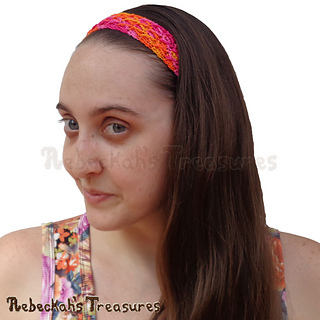 This accessory pattern includes written directions for crocheting intricate Criss Cross Diamond stitch headbands – of any width, in any yarn weight, for any head size from newborn to adult. Bonus photo tutorial and video tutorial are also included! 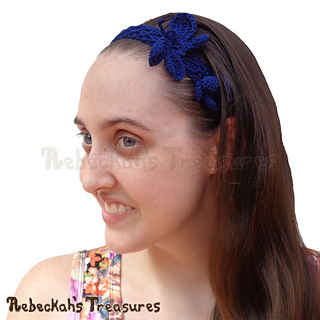 Additionally, this fully adjustable headband comes with 4 fun appliques, including 3 flowers and a butterfly. 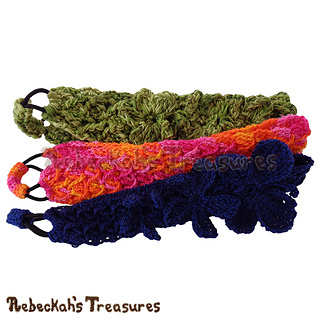 They can either be crocheted directly onto the headband, or you can crochet them apart and add to your favourite projects. 10-page, ad-free, printer friendly PDF digital download - ONLY $3.75! 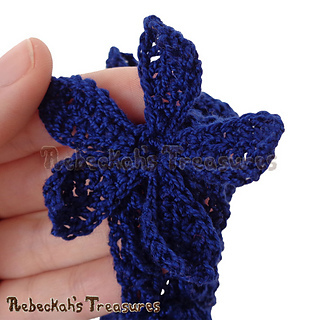 • Navy – 2 X’s wide x 63 rows long = 1” (2.5cm) wide x 14.5” (36.8cm) long (not including elastic – add 2” (5cm) for elastic). Fits a child’s 18” (46cm) – a woman’s 21” (54cm) circumference head. 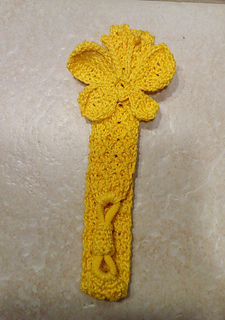 Use cotton thread size 10, a 2.10mm hook and start with 13 sc onto the elastic. • Pink/Orange – 3 X’s wide x 63 rows long = 1.5” (3.8cm) wide x 14.5” (36.8cm) long (not including elastic – add 2” (5cm) for elastic). 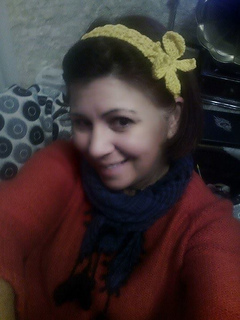 Fits a child’s 18” (46cm) – a woman’s 21” (54cm) circumference head. 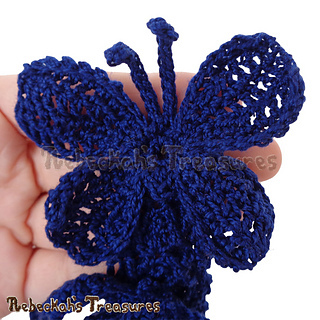 Use cotton thread size 10, a 2.10mm hook and start with 19 sc onto the elastic. 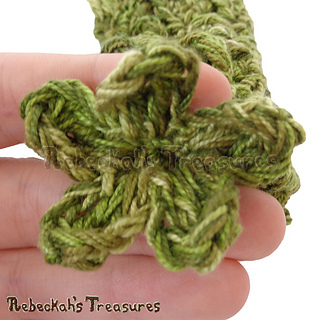 • Green – 2 X’s wide x 43 rows long = 1.75” (4.5cm) wide x 15” (37cm) long (not including elastic – add 2” (5cm) for elastic). Fits a child’s 18” (46cm) – a woman’s 21” (54cm) circumference head. 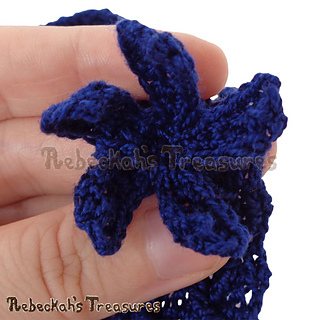 Use sport yarn, a 3.75mm hook and start with 13 sc onto the elastic. 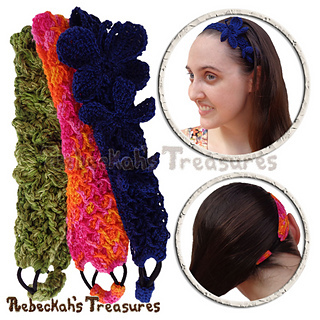 BUY TWO fully adjustable headband patterns and get the third FREE of charge! Add ALL 3 to your cart and the discount applies automatically - NO CODE REQUIRED! 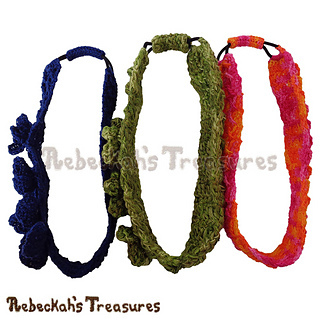 Have you already purchased one or two of these headbands? No problem! 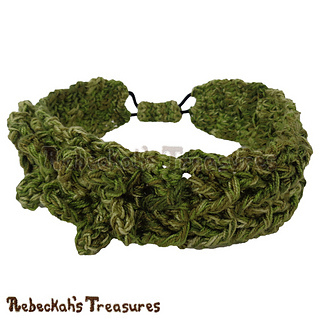 If you were signed into Ravelry at time of purchase, just add the ones you’re missing and the discount will apply automatically for you.